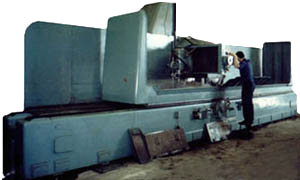 Machinery Solutions, Inc. has rebuilt hundreds of machine tools during our 38 years in business. Reduce your operating cost, improve your tolerances and increase your profits by rebuilding or repairing your existing machines for a fraction of the cost of a new machine. 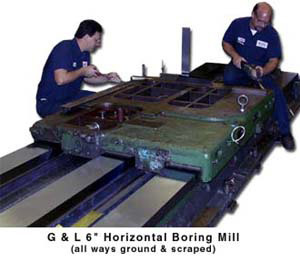 We grind machine bed ways and slides, hand scrape and fit components, apply turcite, replace spindle bearings, and perform general machine tool repairs as needed. Our 36" x 36" x 168" in house grinding capacity and skilled staff can help you get the most out of your machine tools. Simply put, our rebuild department offers services that are usually only available from the machine tool builders themselves.